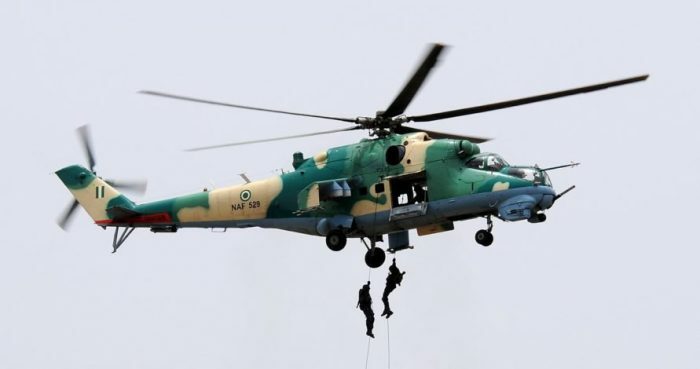 The Nigerian Air Force, NAF, says the Air Task Force of Operation Lafiya Dole, has neutralised some Boko Haram Terrorists, BHTs, at Parisu and Takwala, area in Borno State, through successful air strikes. NAN reports that NAF’s Director of Public Relations and Information, AVM Olatokunbo Adesanya, confirmed this in a statement issued in Abuja on Saturday, stating that the operation was conducted on Friday. He said, “The mission followed the discovery, by NAF Intelligence, Surveillance and Reconnaissance (ISR) platforms, of activities of BHTs in the 2 locations. Adesanya assured that the NAF would continue to deploy its platforms to conduct intensive ISR missions aimed at discovering the locations of possible remnants of BHTs in the entire North-East.